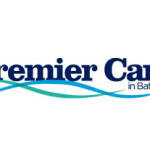 Premier Care Bathing Walk in Tubs start with family business to make bathing safer for senior citizens, elderly and those with disabilities, in 1985. With this goal in mind, we have grown and evolved into Premier Care in Bathing. We are the only walk in tub manufacturer that takes care of our customers from purchase to install and beyond. Walk in Tub are now and will remain proudly made all in the USA. The Easy Bathe Walk-In Bathtub, is our original model, and continues to be our best seller. The Easy Bathe is simply designed and very easy to use. The door opens out and is great for low, easy access to the bath. Optional features that are available include a shower canopy, shower with an adjustable shower head, and the Hydrovescent Therapy system. The Easy Bathe Walk-In Bathtub features include easy entry, wide door, safety handle, comfortable, slip-resistant seat and backrest, compact size, ambidextrous door, and our guaranteed, leak free design. In our two Classic Walk-In Bathtubs bathers enjoy soothing your body in water twice as deep as a standard tub. Both styles are contoured and slip resistant to allow drenched in complete comfort and safety. Our seat design lets you stand and exit safe as well. The optional Hydrovescent Therapy will soothe aches and pains, reduce stress and lower blood pressure. The shower wand is completely adaptable for any size bather. We offer two models of our Powered Walk-In Bath Tubs. The Empower and The Momentum. The Empower allows full length, safe bathing with our exclusive power lift chair. Fill the tub, sit on the lift chair and ease into a nice relaxing bath. The Momentum is just what the doctor ordered for patients with extremely limited mobility. Just let the power lift chair do the heavy lifting for you. The Momentum’s combines Hydrovescent Therapy with energizing spa jets to soothe and stimulate. Relax knowing you can get your loved one in and out of the bath with ease. Our Simple-Lift Power Bathtubs offer the most comfortable and convenient ways to safely experience full-length bathing for those who find it difficult to do so without assistance. The Empower allows the bather to simply have a seat on the, slip-resistant seat. Fill the tub. Push the button and the power seat will carefully lower them into the tub. When the bath is finished, drain the water, push the button, and glide effortlessly to a standing position. Purchase is arranged through one of our courteous Bathing Consultants. We will help you every step of the way from design, to installation. We are right there with you. We have several purchasing options to fit every financial need. We are partnered with GE Financing to offer you affordable very affordable choices. Your Walk-In Bath purchase could be tax deductable. Your tax adviser will be able to let you know. We also give Veteran’s Discount as our way of saying “Thank You” for your service. We stand by our products and installation. Our Walk-In Bath’s feature life time warranty on the door seal, ten years on frame and shell. Mechanical, accessories, Hydrovescent Therapy System, and fixtures all come with a one year parts and labor warranty. 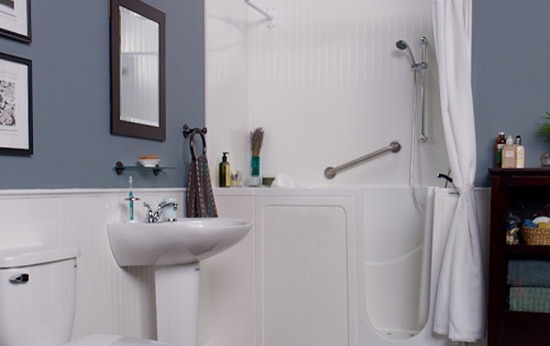 Easy Access Showers include shower tray and walls, ten year parts warranty, and one year parts and labor on the shower door, accessories, and fixtures.